Glonass is the Russian Satellite Navigation System which is the counterpart to the US Global Positioning System, the European Galileo Satellite Constellation and the Chinese Beidou Satellite Navigation and Communication System. It is being used by the military as well as commercial customers using open and encrypted signal architecture. The system provides real time position and velocity determination at an accuracy that can be compared to that of GPS. Glonass-K is the follow-on to the improved Glonass-M satellites, switching from an older pressurized satellite bus to modern unpressurized systems leading to a significant reduction in mass. Transitioning to modern spacecraft systems also extends the satellite’s operational life by several years which will make the maintenance of the constellation easier. The Glonass Program started back in 1976 when development was initiated. The first Glonass launch took place in 1982 and the constellation became fully operational in 1995. Over the years, the constellation was reduced as satellites failed and were not replaced. Later, an effort the restore the satellite fleet was started after funds were made available to the Russian Space Agency. Improved Glonass-M satellites were introduced in 2003 as the constellation was replenished with satellite trios launched on Proton and single spacecraft delivered to orbit by the Soyuz. In 2011, the full constellation for global Glonass Coverage was restored and several launches per year are performed to maintain the constellation and introduce upgraded spacecraft such as Glonass-K that will be launched from 2014 to 2025 before being replaced by Glonass-KM. As part of the program, spare satellites are being kept in orbit to ensure the system remains operational and vehicles are replaced on a regular basis. Over the course of the program, the Glonass satellite design was modified and went through a number of generations. 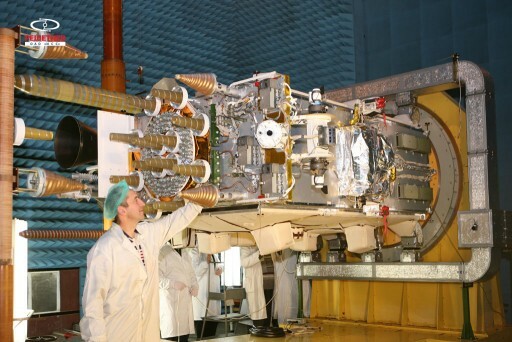 Currently, second generation Glonass-M satellites as well as Glonass-K1 satellites are in service while the Glonass-K2 and KM satellites are under development. The Glonass constellation consists of 24 active satellites for global coverage. The vehicles operate from a Medium Earth Orbit of 19,100 Kilometers at an inclination of 64.8 degrees. Glonass features three orbital planes with eight satellites evenly spaced in each plane plus at least one spare per plane. The satellites have an orbital period of 11 hours and 15 minutes. 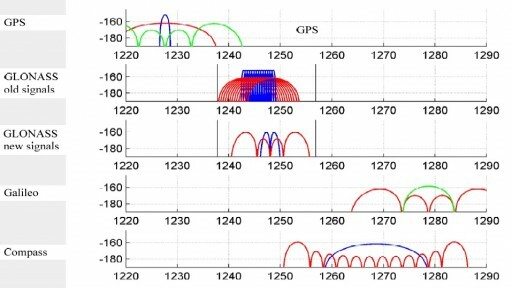 Orbiting at an inclination of 64.8 degrees allows Glonass to provide coverage to high latitudes which can be difficult with GPS that operates at a 55° inclination leading to lower passes for high-latitude areas. To be provided with position data, a receiver needs to be within range of four Glonass spacecraft. Three are used to determine the receiver’s location while the fourth is used to synchronize the clocks of the receiver and the three other spacecraft. 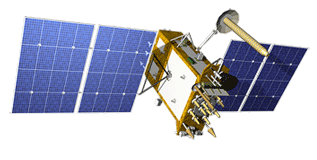 The Glonass spacecraft are built by Reshetnev Information Satellite Systems (formerly NPO-PM). 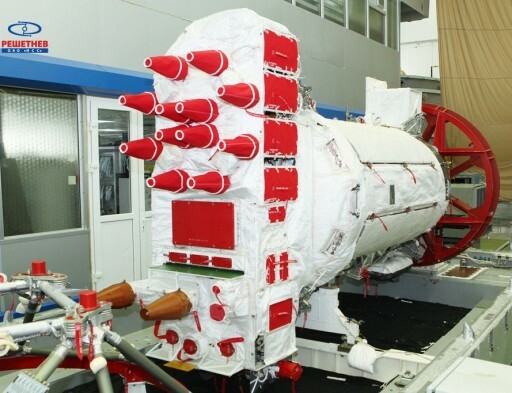 The Glonass-K satellite switches from the older Uragan satellite bus that consisted of a pressurized compartment to the unpressurized Ekspress-1000K spacecraft platform. The pressurized compartment ensured a simple thermal control of the electronics of the spacecraft by using the gas surrounding the avionics to transport heat to cooling systems. 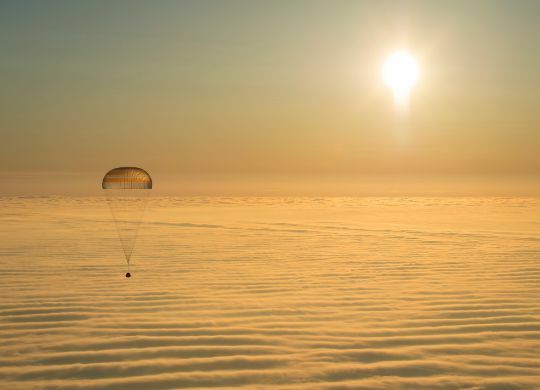 It also allowed components to be flown that were not suitable for the vacuum environment. The Ekspress-1000K satellite platform is a small satellite bus built by ISS Reshetnev to be used for navigation satellites as well as Geostationary Communications Satellite. Glonass-K satellites have a launch mass of 935 Kilograms, about two thirds of the weight of Glonass-M vehicles. The spacecraft features a central satellite body that hosts two deployable solar arrays, each consisting of three panels that use rotation mechanisms to track the sun for optimized power generation. Overall, the arrays generate a total power of 1,250 Watts, 750W of which are used by the payload, the rest is stored in the craft’s onboard batteries for use in eclipse. The central satellite body hosts radiators for thermal control. The Glonass-K satellites use state of the art attitude determination and control systems, capable of pointing the nadir panel of the satellites to the correct Earth-facing position with an accuracy better than 0.5 degrees. A chemical propulsion system is used for orbital maintenance and stationkeeping within the Glonass constellation. The 260-Kilogram navigation payload of the satellite consists of a series of L-Band antennas and associated transmitter electronics, signal generators and Caesium atomic clocks that build the heart of the satellite, delivering the ultra-stable time signals needed to generate the navigation messages. The new Glonass-K satellites are fully compatible with the navigation signals provided by the Glonass-M spacecraft, but add additional signals to improve the accuracy of the system and provide additional services. Glonass-K continues to transmit the existing FDMA (Frequency Division Multiple Access) signals in the L1 and L2 band with two civilian signals and two military signals with higher accuracy. The Glonass-K1 satellites are introducing CMDA (Code Division Multiple Access) signals in the L3 Band that will be expanded to L1 and L2 CDMA signals when Glonass-K2 becomes operational. The final Glonass-M satellites to be launched beginning in 2014 also include the initial L3 CDMA signal. Full Interoperability CDMA signals will be implemented in the 2020s when Glonass-KM is introduced. 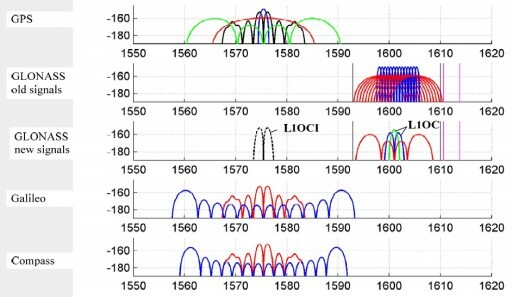 Each Glonass satellite transmits L1 FDMA (Frequency Division Multiple Access) signals on one of 15 channels with frequencies of 1,602 MHz + n x 0.5625 MHz where n is the channel number. The signals are right-hand circular polarized and are transmitted into a 38-degree cone. With 24 active spacecraft plus spares, most of the 15 channels are used twice creating antipodal satellite pairs with the same frequency (two satellites positioned opposite in their orbit around Earth so that the two are never in the same view from a user terminal). The L2 navigation signals also use the FDMA technique transmitting at 1,246 MHz + n x 0.4375 MHz. The L1OF and L2OF signals are part of the standard service while the L1SF and L2SF signals are used by authorized users only. Glonass transmits this restricted signals in the open, not employing encryption like GPS does. The L3 CDMA signal allows an easy and low-cost implementation of multi-standard GNSS receivers. 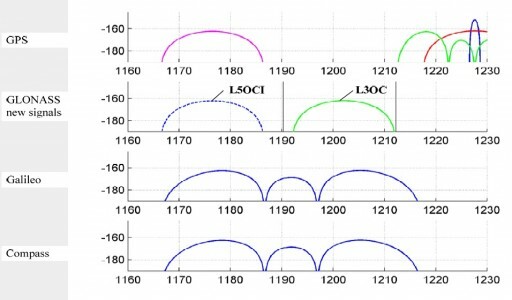 The L3OC signal is centered at 1,202.25MHz using BPSK(10) modulation for the data and pilot components. The Glonass-K satellites have an operational life of 10 to 12 years compared to the 7-year design life of the Glonass-M spacecraft which will reduce the number of satellites that need to be launched per year in the maintenance of the constellation. Due to their lower mass, Glonass-K satellites can be launched as duos atop the Soyuz rocket and Proton’s capability is six Glonass-K per launch, although no Proton launches of Glonass-K are currently planned.